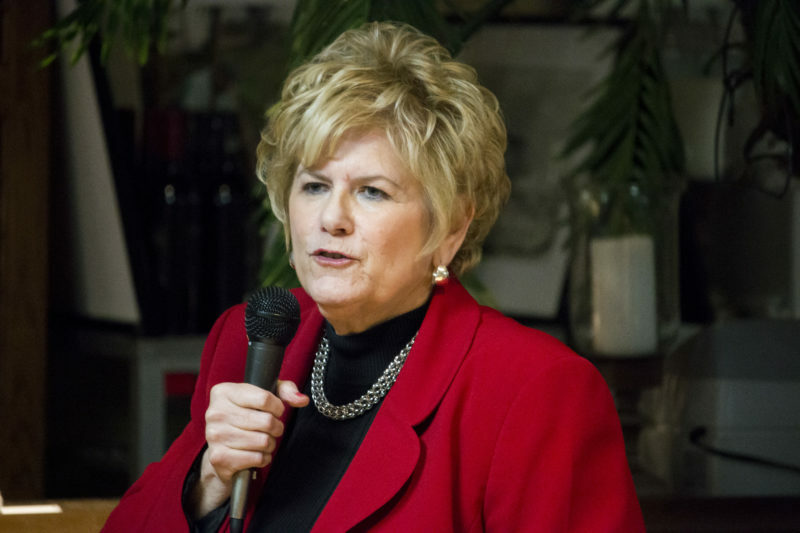 Former San Diego County District Attorney Bonnie Dumanis drew criticism for inquiring about whether she'd be able to keep receiving a pension and get a salary if elected to the Board of Supervisors. But thanks to under-the-radar changes in Sacramento, other retirees have the option to double-dip, too. Unlimited double dipping is back for most elected officials in California, thanks to laws passed quietly by state legislators in budget bills in 2015 and 2017. Lawmakers had largely banned the practice of taking both a government salary and pension simultaneously with pension reform legislation aimed at curbing abuses in 2013. The latest law, which took effect Jan. 1, extended the free pass to county pension system retirees, including those receiving a pension from San Diego County’s fund, known as SDCERA. Additional benefits aren’t racked up while in elected office, though. We don’t know why the state changed its mind on this because the change did not generate any discussion among lawmakers. It was placed inside much larger budget bills. Former San Diego County District Attorney Bonnie Dumanis drew attention to the issue locally in recent weeks. Last year, attorneys for Dumanis — who is running for a seat on the San Diego County Board of Supervisors — reached out to SDCERA officials to discuss the impact that getting elected could have on her annual $269,000 pension, as first reported by the Union-Tribune. The law firm Best Best & Krieger argued that Dumanis could take a salary on the Board of Supervisors — totaling at least $172,450 — and keep her pension payments flowing, according to letters first obtained by attorney Cory Briggs. That would be $441,450 in combined annual income if elected. Rather than exit retirement, and be reinstated as an employee, her attorneys at Best Best & Krieger pushed to preserve her retiree status. “We find support for the proposition that Ms. Dumanis may serve on the Board without reinstatement. Moreover, we would argue that Ms. Dumanis could serve on the Board without reinstatement, with or without salary,” wrote attorneys Isabel Safie and Marissa Morimoto on Sept. 5, 2017. SDCERA officials agreed, but a spokesman for Dumanis has since said she never planned to take the supervisor salary if elected. In an interview, Dumanis said she had planned to publicly decline the salary on the campaign trail but had not yet done so when the pension inquiries became public. An earlier version of the attorney memo that was never sent to SDCERA, but shared by Dumanis, included explicit language indicating Dumanis planned to decline the salary. That language was removed from the final version. “The first memo was a strategy memo,” Dumanis said. VOSD asked Dumanis why her attorneys argued her right to something she never planned to take. She provided a response written by her attorney, Safie. Dumanis is the only person who has inquired with current SDCERA management about collecting a pension and receiving an elected official salary at once, according to a pension fund spokesperson. The California Public Employees’ Pension Reform Act of 2013, or PEPRA, didn’t stop all forms of double dipping, but it did place strict limits on the income that retirees who collect a pension could receive simultaneously from government employers within the same pension system. Generally, unless it was an emergency, retirees could work for an employer within the same pension system for up to 960 hours a year. After that, they’d have to exit retirement — stopping the flow of pension checks — or forfeit their pension benefits while taking a salary. The two newer laws — passed in 2015 and 2017 — carved out exceptions to those rules for elected officials. Video recordings show there was no discussion or debate on the floor of the state Assembly or Senate when they passed. They also didn’t attract public support or opposition in advance. That’s partly because the new double dipping rules were buried in budget trailer bills, which don’t get the normal vetting traditional state legislation does. Trailer bills skip policy committees and are supposed to contain laws related to the state Budget Act, though significant policy changes and political favors can also get thrown in, too. Without much ado, one of PEPRA’s major provisions was rolled back for elected officials. An earlier attempt by the California Public Employees’ Retirement System, or CalPERS, in 2014 to use the normal legislative process to pass a law allowing elected officials to double dip attracted more attention and was ultimately unsuccessful. The previous bill received support from the California State Association of Counties, the California Special Districts Association, the Rural County Representatives of California, League of California Cities and others. Paul Smith, vice president of governmental affairs for the Rural County Representatives of California, said rural districts were disproportionately affected by the PEPRA prohibition against double dipping, and getting the law changed was “very, very important.” He said his organization actively lobbied for the change. Smith also had problems with the inequity of the PEPRA rules. For instance, a retired school teacher with a CalSTRS state pension could serve in most salaried elected positions without issue, while retirees with a CalPERS pension could not, he said. Only those collecting a pension and salary from a public agency in the same pension system are subject to limits. City pension systems can also make up their own rules. At San Diego’s pension fund, known as SDCERS, Port of San Diego and San Diego International Airport retirees are subject to PEPRA, but City of San Diego retirees are not, officials said. SDCERS allows city retirees to collect a pension and a salary as an elected official without limitation, while retirees who return to work as employees are limited to 720 hours of work a year while receiving a pension. Given the lack of public discussion about the law change, Voice of San Diego reached out to each local state lawmaker who voted for or against the bills that allowed unlimited double dipping for elected officials to find out if they support the change and why. Some, like Sen. Joel Anderson who voted no on both bills, bemoaned the process used to get the changes through. “Nothing good can come from hiding policy in budget bills to avoid the scrutiny of a policy committee,” Anderson said in a statement. “The super-majority’s leadership sidesteps transparency when they bury unheard policy in last minute budget trailer bills. This practice is an affront to the public’s will and Prop. 54,” which required more public disclosure for state legislation. Assemblywoman Lorena Gonzalez Fletcher voted yes on both bills, but said this specific change was less memorable. Though generally supportive, Gonzalez Fletcher — whose husband Nathan Fletcher is also running for county Board of Supervisors — is appalled by the prospect Dumanis could take advantage of the change. Dumanis supported city pension reform that eliminated pensions for most new hires and offered 401(k)-style retirement benefits instead. “The fact we don’t call out the hypocrisy every time we see it is appalling,” she added. Assemblyman Rocky Chavez’ chief of staff said the Oceanside lawmaker supports the elected official pension exemption, but voted against both bills for other reasons. Representatives for Senators Ben Hueso and Patricia Bates, and Assembly Members Todd Gloria, Brian Maienschein, Randy Voepel, Marie Waldron and Shirley Weber did not answer questions about the law change. Hueso, Gloria, Waldron and Weber voted in favor of the bills, Maienschein voted yes on one and no on the other, and the others voted against.